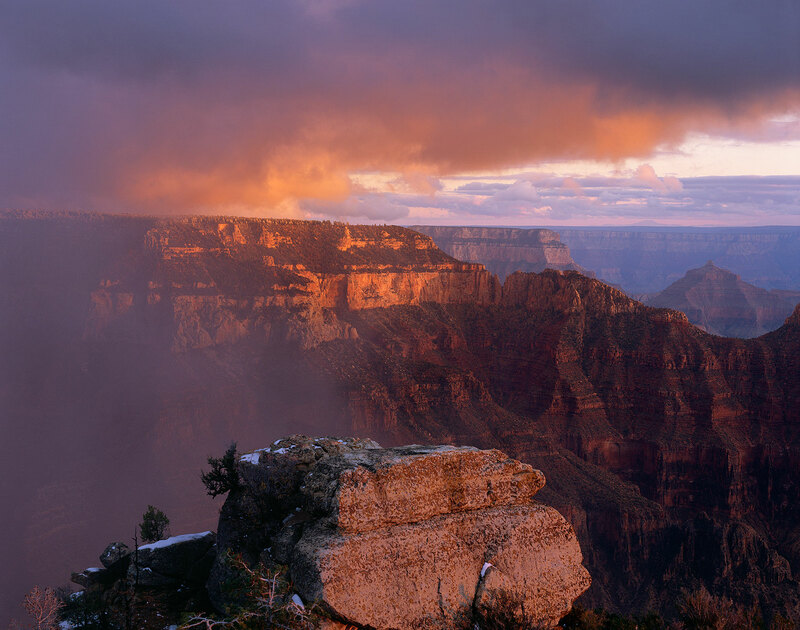 The sun peeks beneath a clearing storm over Bright Angel Canyon in this view from the North Rim of the Grand Canyon. The renowned Bright Angel hiking trail follows the canyon below, connecting the North and South Rims. In the distance lie Zoroaster Temple and the South Rim. On the horizon looms Mt. Humphreys, the highest point in Arizona, over 50 miles away, a reminder of the Canyon’s massive scale.